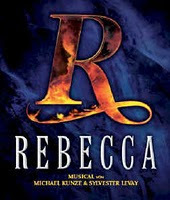 The new musical Rebecca which starred newly engaged couple Sierra Boggess in the title role and Tam Mutu as Maxim de Winter was due to open on Broadway later this month but because of investment problems at the end of January the producers announced that it would be postponed until later this year. It has now been reported that the show might be making its Broadway debut sooner than expected at the Broadhurst Theatre when A Streetcar Named Desire closes there. Producer Ben Sprecher writes "Rebecca is moving forward. We have identified the final missing piece of investment and the Shuberts (to whom I shall be forever indebted) have graciously allowed us to resume production to open at the Broadhurst in fall of 2012. Thank you all for you patience and most of all to the extraordinary creative team who have stuck by this fantastic production through thick and thin as Rebecca continues to play in productions throughout the world." In answer to a question regarding potential casting for the show, or if the previously announced stars would still be with the production Spechrer wrote: "Rebecca the Musical we will be making casting announcement over the next several weeks." Tam Mutu is joining Les Miserables in London playing Inspector Javert in June so it is unlikely he will free. The rest of the original cast included Karen Mason (Mrs. Danvers), James Barbour (Jack Favell), Howard McGillin (Frank Crawley), Donna English (Beatrice de Winter), Nick Wyman (Giles) and Henry Stram (Ben).